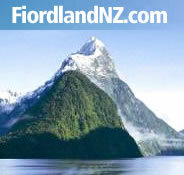 Experience an exhilarating 4WD motorbike tour before you leave Fiordland. This is a one-off chance to see fantastic views of Lakes Te Anau and Manapouri, surrounding farmland and crisp clear mountain scenery, while riding through Te Anau’s back country. Short and evening tours are also available. No previous experience is necessary, and tuition will be provided by trained guides. What to take: Warm Clothing is essential, Sturdy footwear. All other necessary gear will be provided by your tour operator. A variety of guided 4WD trips are available in Fiordland for those seeking adventure without the hassle of organising trips yourself. The Borland Road was built in the late 1950’s for access to the pylon lines that run from the Manapouri Power Station to the Tiwai Alluminium Smelter near Bluff. The road passes through some tremendous mountainous scenery with the road itself, a monument to those early Construction Workers. Access is by 4 wheel drive vehicle where you must take a return vehicle trip. Alternatively you can be picked up or dropped off by launch at South Arm on Lake Manapouri before or after your drive over the Borland Road. Allow 4 hours for this trip. The road takes you into the area of the Upper and Lower Mavora Lakes. A very special experience amongst the Mountains and Tussock Country. The drive is on gravel roads on the valley floor and then out onto the Tussock Country and Beech Forest that surrounds both small Mountain Lakes. A number of 4WD trips are available in the Fiordland area for 4WD enthusiasts ranging from the easy to the very difficult. One of the most popular options is a continuation of the Mavora Lakes trip (above). When the end of the Mavora Lakes gravel road is reached, the track dives into forest and along the beach of North Mavora Lake before emerging out into an open grassy area. The track continues until a hut is reached. From here the track heads further up the valley passing another hut. At this point the track becomes much more difficult to drive through, although it is possible to continue on to Lake Wakatipu.